Come get off the beaten track for a unique Canadian wilderness adventure at the north west corner of Algonquin Park. Located just three hours north of Toronto, Voyageur Quest operates 3 – 14 day adventure trips in Algonquin scenic lakeside paradise. 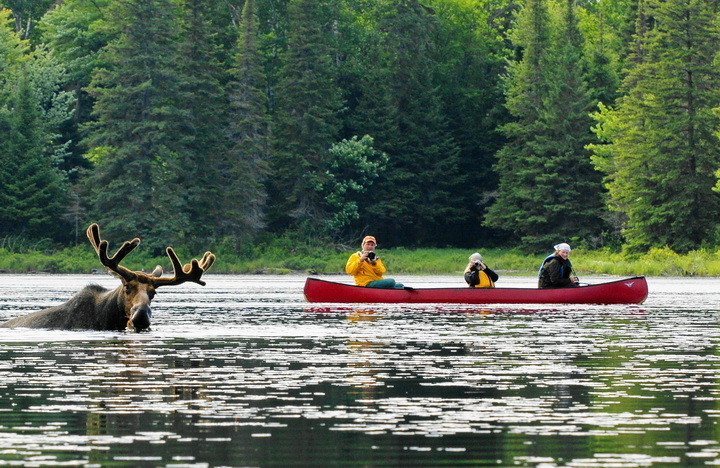 Our Algonquin Park canoe trips are a “best of Canada” Canadian Tourism Commission “signature experience” and focus on wildlife, camping, outstanding gourmet meals, superior guides and memorable campsites. Algonquin lodge based canoe trips, hiking and wildlife interpretation takes place out of our two eco lodges, the Algonquin Log Cabin and Algonquin Cottage Outpost. Both are located at the north west corner of Algonquin Provincial Park. 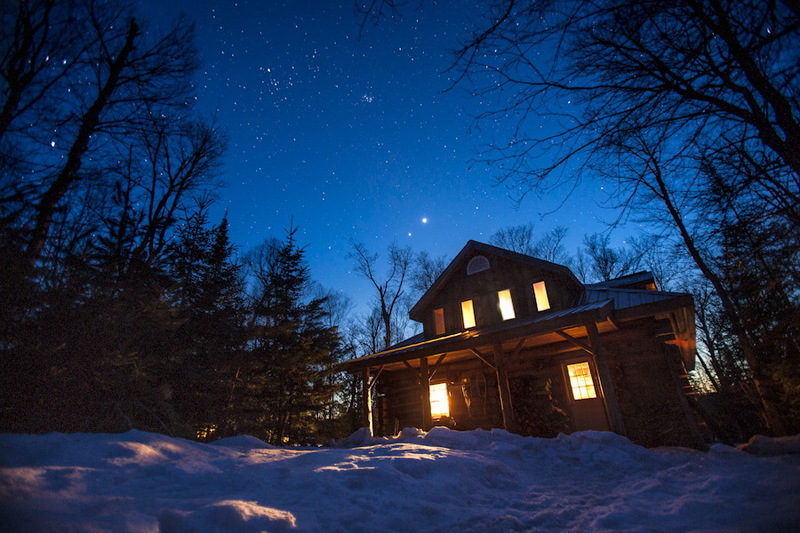 Our Algonquin Island Retreat, a tiny private island with a cozy cabin, is the ideal escape for couples. Our Lodge based programs are intimate and one of a kind and catering to small groups of just 8 to 12 ! The Algonquin Log cabin oozes tradition with a massive fireplace, wood fired sauna, 2 decks and unique guided excursions. The Algonquin Cottage Outpost offers solar comfort and a floating sauna! 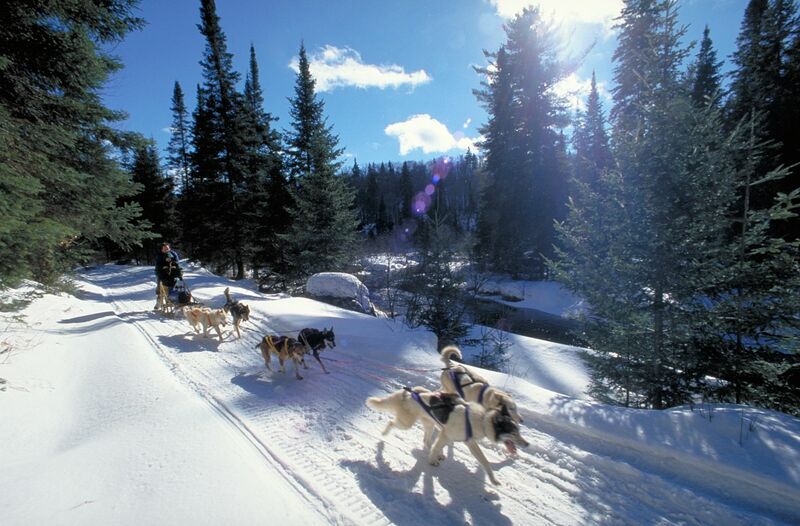 Our Algonquin winter trips, selected by the Canadian Tourism Commission as the “Best in Canada” feature dog sledding, torch lit skating, snowshoeing and backcountry skiing. This year, we are celebrating 25 years of operating Algonquin park canoe and lodge adventures. Have a look this video which captures what Voyageur Quest is all about. Hope to see you at our dock at Algonquin Park access # 1.